A bookmaker or bookie is somebody who collects bets from individuals during a range of sporting events, from which they set a breakeven point. The bookmaker collects the losses and pays out the winnings, determining what they can get from the total money collected. Bookies tend to frequent clubs and popular sporting events, and setting up a website is a great method of running a bookmaking business. Setting up a business as a bookmaker comes with a whole range of legal issues and restrictions that you will need to adhere to. However, when done right, it can be a hugely profitable business venture. When starting a business as a bookmaker, it’s vital to keep in mind all of the legal issues which come with this business. Depending on your area, it may or may not be illegal to collect money from betting, therefore in order to avoid getting into trouble with the law, many bookmakers set up an offshore account in order to be paid into, which is a legal loophole. 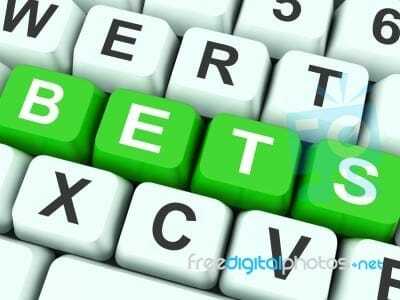 If this option is not for you, an online bookmaking business could be a good alternative option. You will need to design a website which allows you to build a clientele base who will send in the cash for their bets, using a sportsbook software entertainment program. Before getting started, it’s a good idea to discuss the legal requirements of online betting with somebody who is knowledgeable. Once you have made a decision regarding the type of bookmaking business that you would like to pursue, it is time to draft your business plan. All good businesses, bookies included, start with a business plan which is enough to generate the necessary profit from the company. You should begin by drafting out your policies, general guidelines, regulations and rules. Whilst designing your business plan, it’s a good idea to discuss it with a lawyer who will be able to help you get all of the necessary documents together in order to make the necessary arrangements for the business. With this, it will be easier for you to determine the type of tools and equipment that you will need in order to successfully run your bookmaking business. As with any business venture, starting a bookmaking company comes with a range of different startup costs. In the early stages, you should put together a list of the items and services which you will need to purchase, whether it be employees, website hosting, bookmaking software, or even rent for a physical location. It is always good to have a professional such as an accountant to guide you through the setting up of these documents in order to ensure that things run smoothly. By creating a breakdown of necessities, you will be able to come up with the total cost of the business which can then be adjusted if needed according to your budget. Starting a bookmaking company can be an excellent business venture, but it’s vital to get the planning stage right.